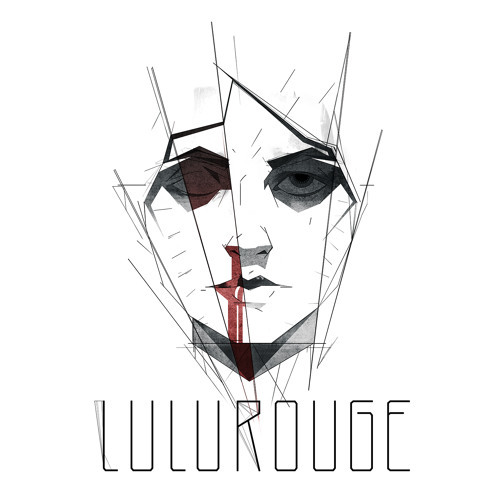 Lulu Rouge are finally back with an amazing new album. The Danish duo has spend the last 4 years in the studio, perfecting the songs and tracks for the forthcomming album "The song is in the drum". You will soon discover that Lulu Rouge has been busy working on a bigger and even more heart and soul penetrating sound than last time you heard them. This time featuring much more vocals next to their trademark dark dubs and strong instrumentals. It all begins with the first single "Sign me out" feat Fanney Osk, the strong young icelandic talent who has been doing tracks for Lulu Rouge since the very beginning. You will be swept back into a familiar, yet all new Lulu Rouge sound that, effortlessly as always, delivers world class electronica and dub techno swept in melancholy and presented in georgous multi-layered productions. Dedicated fans will feel at home right away and new ones will undoubtedly feel the same quickly. Welcome to the next episode of Lulu Rouge. LULU ROUGE "SIGN ME OUT" feat. Fanney Osk is available from March 4th in Denmark. Available in the rest of world from April 2013.